Aeris Resources has launched a $35.1 million equity raising to advance its exploration at the Tritton copper mine and Torrens joint venture (JV). The company is set to issue 175.5 million new shares at 20c each – a 37.5 per cent discount to its last trading price on September 20. Aeris’s equity raising is the culmination of the company’s successful operation and financial turnaround over the past five years, the company said in an ASX statement. Further drilling and evaluation will be undertaken at Tritton and Torrens during the 2019 financial year. In September last year, Aeris commissioned the Tritton underground mine ventilation shaft to ensure production at Tritton exceeds one million tonnes per year (Mt/y). 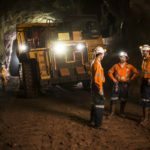 Its Murrawombie underground mine also attained full production levels during the 2018 financial year, providing ore to Tritton’s 1.8Mt/y processing plant. 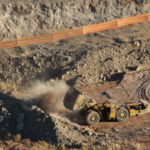 Due to higher copper production and prices during the 2018 financial year, Aeris reported a 266 per cent surge in its net profit from the previous year. Aeris will also allocate $26.1 million from its equity raising to repaying senior debt. 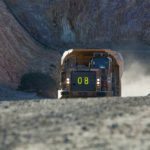 “Further reducing our debt levels will also provide the company with a sound financial platform to pursue organic and mergers and acquisitions (M&A) growth opportunities,” Labuschagne said.